I am so excited to continue our special baking times into the holidays and although he still doesn’t eat sugar, we love delivering our homemade treats to family and friends. 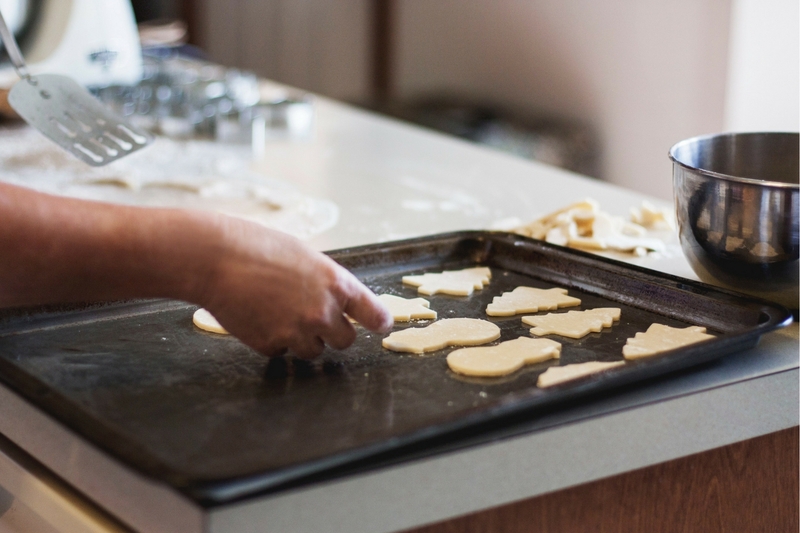 Here are five easy Christmas cookie recipes that are on our holiday baking list. Here are some Christmas gifts for babies and toddler that don’t clutter! I think it’s far more common to see Christmas cookies in the shapes of trees or reindeer, so I love that these take on another exciting holiday element: the lights! They are so easy to make, too. You can really make any type of cookie you’d like and then frost it with white frosting. Squeeze black frosting into a squiggly single lined circle around the cookie, then place different colored m&ms onto the line to create an adorable Christmas light pattern. If you have the time and the skill, you can make your own rice Krispies treats. However, it’s totally okay to take the short cut with this recipe and just use the pre-packaged ones. Then, all you have to do is push in a popsicle stick and decorate the reindeer face! Use the melted chocolate to draw antlers, and pop on candy eyes and an m&m nose. Super cute and also mess-free, so it’s a win all around! The best part about this recipe (besides how good it tastes) is that you can use a store bought brownie mix! This keeps the baking part simple, and then you can have fun with the decorating. Cut the brownies into triangles so that they resemble Christmas tree shapes. Then spread green icing and multicolor sprinkles- so easy for such a darling (and delicious) treat. 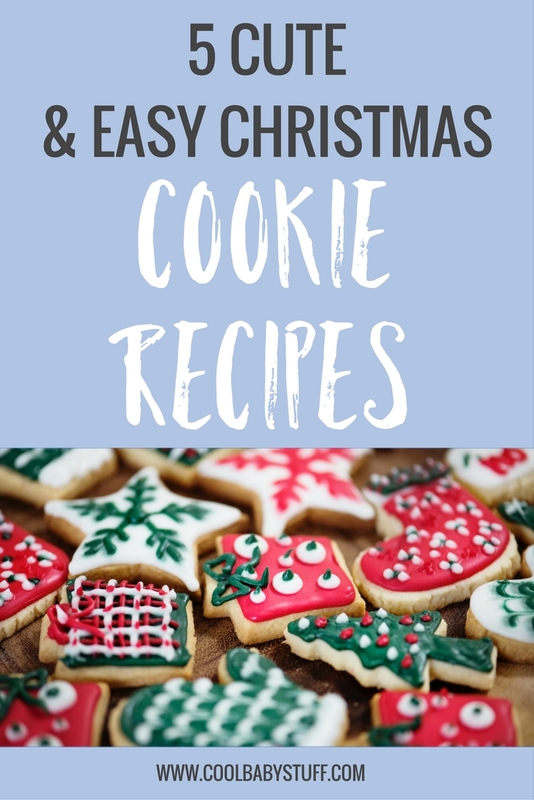 Here’s another recipe where you can just make any basic cookie in the flavor of your choice. Roll the dough balls into three different sizes- small, medium, and large. Once they bake, squeeze a generous portion of green icing on top of the large size cookie, and place a medium size cookie on top. Then repeat but with the small cookie. A little green icing on the top and some sprinkles on the sides, and you have a truly special Christmas snack. These cookies are so cute and creative that they made me gasp and giggle when I saw them! I know my son would get a kick out of these and can’t wait to make them to give to our friends. You use a marshmallow for the snowman head, then simply draw on a face and a scarf with icing. They are almost too cute to eat!